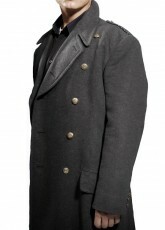 Get into the handsome pirate look by wearing this Captain Hook Coat. The same that appeared in “Once Upon A Time” TV series is finally here. It’s a stylish and fitting coat crafted tremendously to match the TV version. The Captain Hook Jacket Coat has features like PU Leather used to make the external part and viscose lining internally. Once you wear this, you’ll get a proper attention you deserve. Surely, this apparel is made for cosplayers and fashion lovers. Great fit, great look, great coat! I purchased this coat for a costume piece for a convention, and I got a ton of complements on my outfit. The sizing was perfect, and it looked great in pictures! The only change I needed was to get rid of the velcro tab. Other than that, this coat is perfect! Definitely purchasing from here again. I ordered the Captain Hook coat in real leather. There was a short delay in production but communication was good and I received my coat in a timely fashion. The leather is lovely and soft and it’s well made. True to size. The only thing I don’t like is the small Velcro tab to keep it closed - it doesn’t. It also looks out of place. I shall replace it. 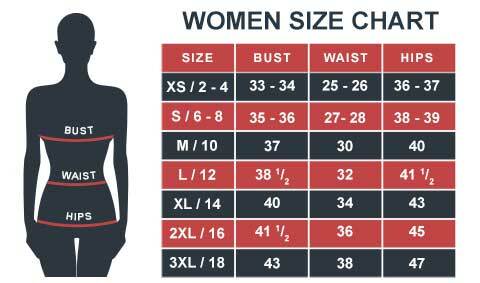 "The captain hook jacket quality is superb, materials top notch, price very reasonable and the delivery time was unparalleled. I had to use this coat for a play in high school, and I had to be a pirate. We had standby chillers at each end of a small stage to keep us cool in a packed auditorium. My luck was so bad that I had to stand right in front of it because my ship’s silhouette was placed there. During practice, I had to wear a thick shawl to cover me. On the day itself, my mum handed me the coat that she ordered a week back. Not only did it match my costume but it also kept me warm during the two-hour play. It felt like I was wearing a thick blanket. When I saw the texture, I knew it was going to pay off. It’s a great costume outfit as well as a winter-resistant. I've had my eyes on this coat for a while, thinking it would be perfect for my stage costume. When I finally ordered it,i found the quality great for price like this. It took them about a week to process the order and two days later I had my coat. Quality, genuine leather, and a perfect fit. Coloring is a bit darker than in the picture; not a problem for me but keep in mind that when you order the jacket it'll come more black than gray. The only downside is that the buttons are just for show and that it comes with internal Velcro straps for fastening, which I find a little lame. Overall, however, I'm extremely happy with the product and the service I've received. 9/10, will purchase from this site again.